This is law of God by which He makes His way known to man and is paramount to all human control. 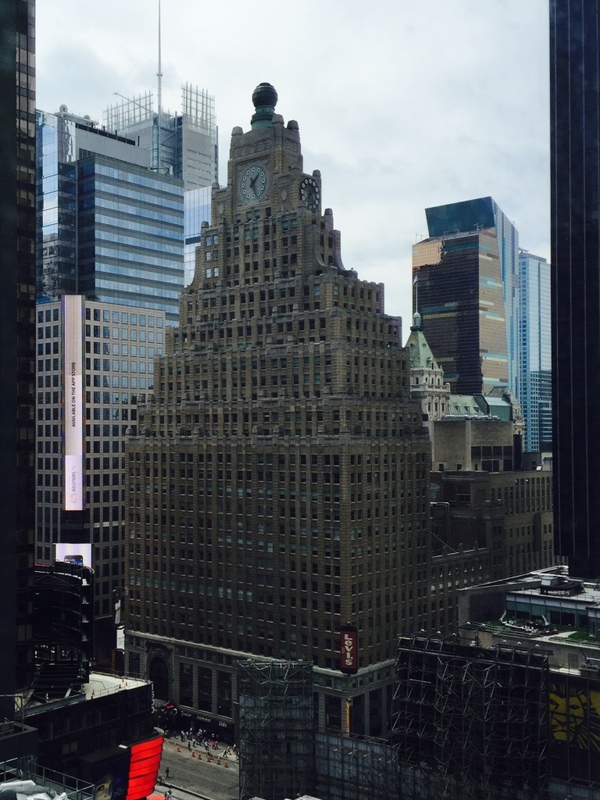 While on a business trip to New York City I looked out my Times Square hotel window and saw the beautiful Paramount Building, pictured above. I have been to NYC many times and until now never was afforded the view of this marvelous building with its iconic clocks. I don’t recall ever really noticing the building before. Yet on this day there she stood, a towering example of art-deco style, now surrounded by taller, sleeker buildings. The beautiful Paramount building serves as a vivid reminder on the evolving nature of time and how we may derive our perceived value in the universe. Paramount, the word, can be defined as “above others in rank or authority; superior in power or jurisdiction. And at one time the Paramount building lived up to its name. The building was completed in the 1920’s and was one of the tallest buildings in Times Square and it was said that the Paramount’s clock could be seen from New Jersey. When the building’s construction was completed, the Paramount stood high above other structures and enjoyed un-paralleled vistas and likely received much admiration from those who could enjoy its splendor. Fast-forward nearly 100-years and you see how things have changed in the Manhattan sky-scape. Today the building is ranked the 370th in terms of building height in New York[i] [ii] Much of the Paramount building is now obscured from view due to the surrounding taller buildings of the Big Apple. My how the mighty can fall. This rise and fall is a familiar cycle that we must come to terms with in order to find lasting peace. For the very nature of life is a series of ebbing and flowing, growth and decay, birth and then death. In the Paramount building’s case the 4-sided clocks signaled to the world the continuous, unfolding moments of time. The building stood while the world around it eventually overtook it in terms of superior height and prominence. People are like buildings in that we may rise above others and enjoy a brief period of paramount prominence. Other times we may remain in the shadows of those taller, newer, or more expensive than we are. And sometimes we may crumble to the ground to give rise to a new construction. Perhaps we provide lessons and inspirations to others. No matter where we are, what materials we are made – we all have the same maker, the supreme Architect and master builder- God. The Bible says that “ All people are like the grass and all their glory is like the flowers of the field; the grass withers and the flowers fall.” The truth of life is we all will wither and fall. And if we place our attention and derive our value from external things, like judging and comparing our prominence in the world, we join a race that has no end and one in which all eventually loose. Our true essence is greater than what is manifest in the material world for we are timeless and infinite. While all things come and go – the power and presence of God endures, bringing the paramount promise of everlasting peace. Julian Kaufmann’s mission is to empower people to live and love more fully. Julian teaches how to more effectively accomplish your life’s work through energy efficiency. Please visit www.juliankaufmann.com for more information and sign up for his Prime Mover network and receive his free e-book Why Less is More – The Simple Science of Getting More Energy Out of Your Life. © 2016 CoCo Holdings, Inc.
Change is the ultimate reality of life and how we deal with this fact influences our lives greatly. For all our existence we have struggled with how to come to terms with the varying nature of life and its impermanence. After all, the world will keep on spinning and tomorrow will bring a new day. What will we do with the moment we have now? While accepting the ever-changing nature of life is ultimately the key to finding peace, it can be difficult to practice and master. All too often we unknowingly cling to attachments – be it people or things. We suffer as a result when the world inevitably changes, potentially severing our attachments in the process. Fearing loss we may clutch onto people or conversely avoid any deep connections, neither of these allows us to fully experience the connection to life itself. The Tao Te Ching offers guidance stating to “let all things come and go effortlessly, without desire.” Of course actually doing these things can at times go against our very nature. Likewise the bible reminds us that while we are in this world we are not of this world. 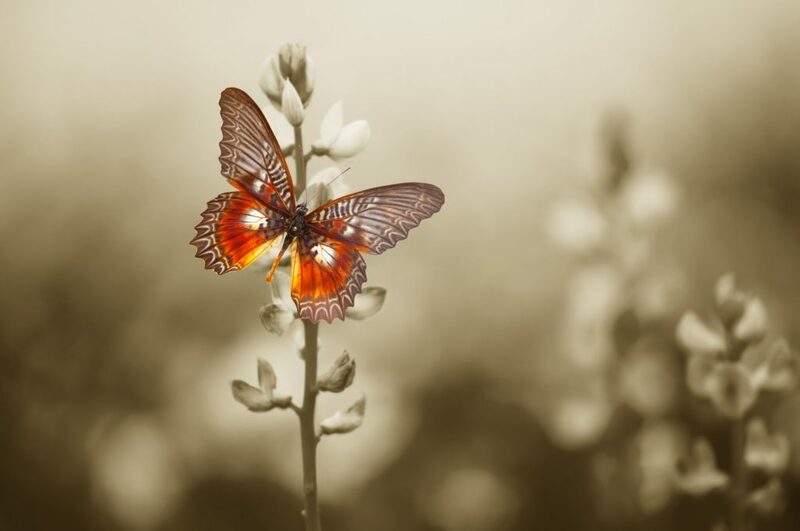 This distinction of separating our true self from the world we experience, if we are able to make it, can allow us to connect with our higher consciousness. We make contact with the infinite source. Being comfortable with discomfort and change allows us to live more fully. Leaning into the vulnerability and volatility of life, opens us to vast array of wonderful experiences. I am grateful to God for each day and the variety we can experience. Meanwhile my words are flying out like endless rain into a paper cup.